"I'm so excited I could just ... Oh, I can't wait." That fan comment from the 1977 television special Elvis In Concert came to mind today as I realized it's only five days to go before I'm sitting in the Wembley Arena in London watching Elvis Presley In Concert. Having read reports from both Elvis Unlimited and ElvisMatters it looks like I'm in for a good time. The opening is different from the one I experienced in 1999 and 2000, featuring the alternate 2001 theme known from Elvis On Tour while on the big screen the audience is transported "Google Earth style" to the arena. Then the real 2001 kicks in as Elvis walks towards the stage and the curtain falls away. However great this will be, at the same time I can't help feeling a bit envious of those lucky enough to have experienced the real thing. Of course I'm looking forward to see "Elvis live on screen" but I'm not smiling from ear to ear like the lady does in Elvis In Concert while, looking to be in heaven, she exclaims, "I'm so excited I could just ... Oh, I can't wait." On the other hand, Elvis Presley In Concert is the next best thing. More than 30 years after Elvis passed away I'm going to share an incredible experience with thousands of other fans in that arena in London, listening to Elvis' music at full blast. I guess I'm starting to feel a bit excited, after all. Elvis Now looks OK, although I had hoped for a "fake" 1971 album with all 1971 pop songs. (Standing Room Only was a good way to collect all new tracks from 1972, although it was an album that never came out). It's strange that Don't Think Twice is here, but not the "Elvis at the piano" selections from the same "Elvis (Fool)" album. I also miss the duet version of The First Time Ever I Saw Your Face, released on the Rough Cut Diamonds bootleg in the mid 80's. And I would have preferred the religious song as bonus songs on a He Touched Me FTD CD ... Anyhow, I will definitely buy it. 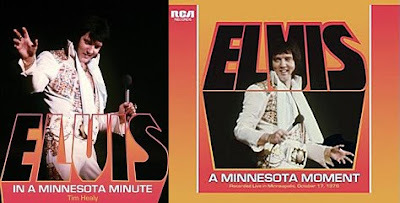 I couldn't help smiling when I noticed that the press release called the original album "great" while Ernst Jorgensen in his Recording Sessions book wrote: "Elvis Now must definitely rank as one of the most misleading titles ever to grace an Elvis album cover ... the album overall represented another major step backward." One thing is for sure, though. 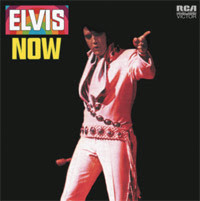 Elvis Now would've been a stronger album had it included "I'm Leavin'," "It's Only Love" and "The First Time Ever I Saw Your Face" and omitted "Hey Jude." Speaking of "The First Time Ever I Saw Your Face," I too miss the duet version, and find it hard to believe that the reason for its omission might be a legal one. On the other hand, I suspect the budget FTD has to play with isn't that big, so maybe it's the real answer after all. Some periods are certainly slower Elvis wise than others. They are to me, anyway. And right now I'm right in the middle of one of them. 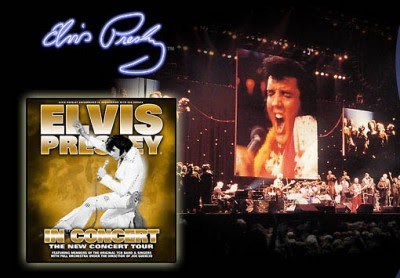 For starters, no exciting news has been announced in about a month, not since Elvis Presley Enterprises told us Elvis On Tour is coming to DVD. FTD promised more information about future releases by the end of January, but not very surprisingly, not a word has been heard from that direction. More seriously is I'm having problems with my steroe equipment. One moment, the sound is so low I can hardly hear what song is playing. The next, without me touching the volume control, it's so high I'm afraid my ears will be permanently damaged. But who am I to complain? Last year FTD brought the fans no less than 11 new releases (10 if you don't count the re-release of Rockin' Across Texas without the book). And if you're into bootleggs there was a steady stream of them as well (The Final Homecoming being one of the highlights). And any day now I'll bet Ernst Jorgerensen will announce that the next classic albums will be Promised Land and Jailhouse Rock Vol. 2. Guess it's time to rush to the store to buy a new stereo.